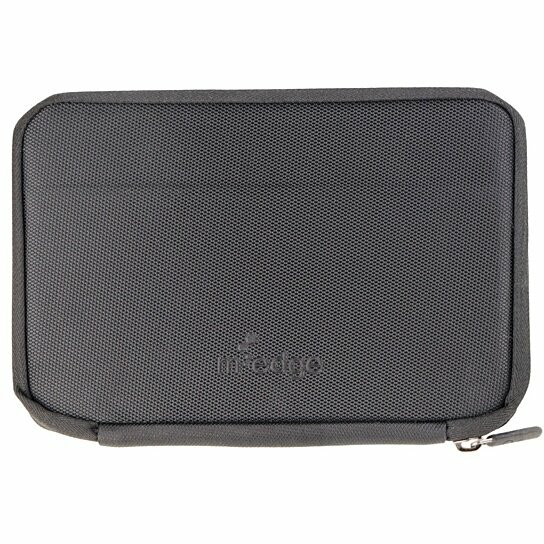 M-Edge products, Universal Sport Pouch Case for 7 to 8 Inch Devices. Black exterior finish with a soft gray interior. Secure zipper enclosure. Multifit technology expands and contracts to fit a variety of device sizes and thickness.